[VIDEO] Should You Fix Your Suspended License Before Court? Yes. If you’re charged with driving on suspended in Virginia or some kind of other no license or license-related offense, you should definitely fix the problem before we go to court. Now, fixing your license does not make the charge automatically go away. definitely contact me so I can help you figure out what you need to do. Should you fix your license before court if you’re charged with driving on suspended? Hi, I’m Andrew Flusche. I’m your Virginia traffic attorney. Yes. If you’re charged with driving on suspended in Virginia or some kind of other no license or license-related offense, you should definitely fix the problem before we go to court. Now, fixing your license does not make the charge automatically go away. That’s a misconception. However, fixing your license can very well help get a better result in court. One of the best examples is that for driving on suspended cases, the law says that if you’re found guilty of driving on suspended, you have to be suspended again if you’re found guilty. However, in most of the court around the Fredericksburg area, if you are re-licensed by the time court comes around the suspension will be very minimal, such as just 3 days. However, if you are suspended indefinitely for driving on suspended and you don’t fix it by the time court comes around, you will typically suspended for another 3 months, so that’s a big difference as far as the punishment you would get. In some cases, we can maybe get your charge bargained down driving on suspended to something like driving without a valid license where there’s no suspension and it’s only a class 2 misdemeanor. Should you fix your license before court? Absolutely, you should. If you have questions about how to do that, I have other videos that discuss that and definitely contact me so I can help you figure out what to do as well. 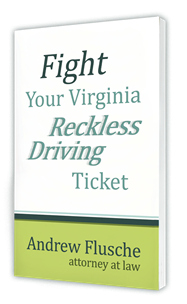 How do You Fix Your Virginia Suspended License? Can I remove license suspensions from my Virginia DMV record?